Arylacetylenes react with sodium sulfide in the presence of water to yield divinylsulfides. The reaction proceeds in good to excellent yield for both electron-neutral and electron-deficient aromatic systems; for electron-rich aryls, longer reaction times are necessary. The sulfides represent useful substrates for further transformations, for example, oxidation to the corresponding divinylsulfoxides and divinylsulfones. 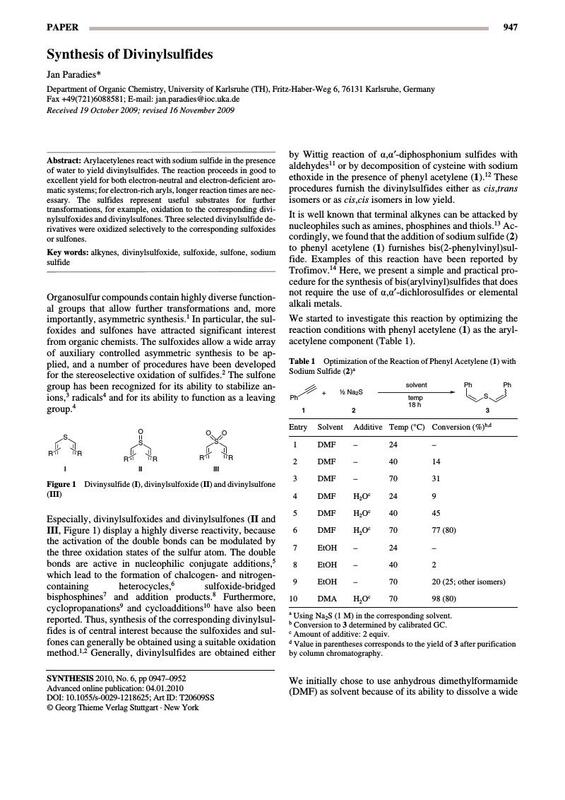 Three selected divinylsulfide derivatives were oxidized selectively to the corresponding sulfoxides or sulfones.